If your hair styling tools don’t have more than one purpose, they’re probably just taking up valuable counterspace. The best hair styling tools are multi-functional. This hair styling tool claims to straighten, curl, and add volume and shine. Based on customers’ rave reviews, that’s exactly what it does. Available in either 3/4" or 11/4" barrel, the InStyler can be used on all hair types, but probably works best for adding volume to straight hair. This flat iron will straighten, curl, or flip your hair, depending on how you wield it. Its rounded edges make it one of the best flat irons for curling available, and the small one-inch shape makes for perfectly sized curls or waves. There’s no need to blow dry before straightening with this hair styling tool. 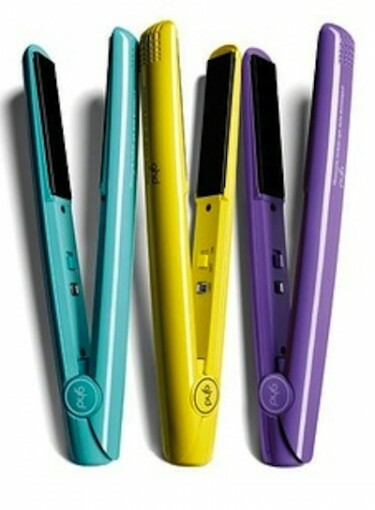 The flat iron is equipped with tourmaline ceramic plates that fight against frizz with negative ion technology. By skipping the blow dry, you’ll be saving your hair from some heat damage, which makes this product a worthy buy. Hair styling tools can be a godsend (seriously, what did they do before the hair straightener?) but they can also take their toll on your hair’s health. Give your hair a break from heat by trying these 10 blow dryer-free hairstyles.